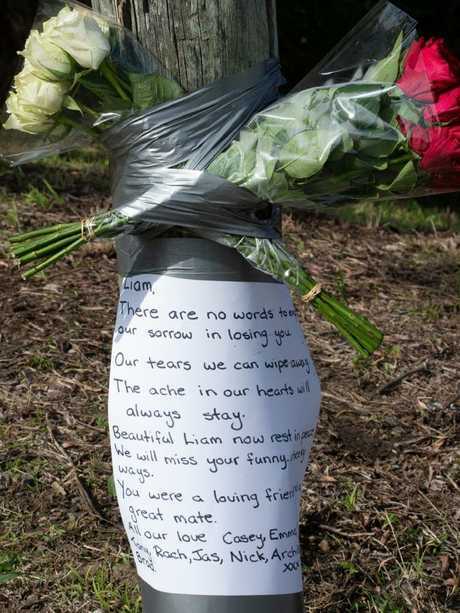 FRIENDS of Liam Anderson gathered at the site of his death to leave tributes as it was revealed the man allegedly behind the attack was his best friend. 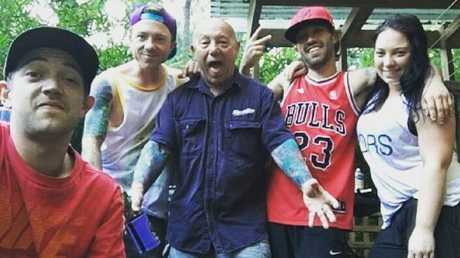 Australian rock musician Angry Anderson rushed back to Sydney last night after the death of his son from an alleged violent assault on Sydney's northern beaches. 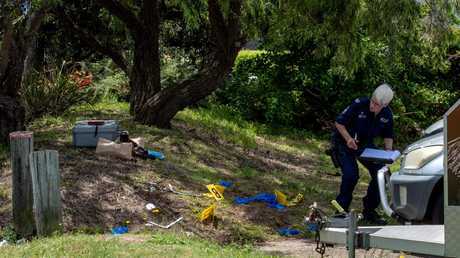 Liam Anderson, 26, died after the altercation with another man, 20, in Queenscliff just after 6am yesterday morning. Former close friend Matthew Flame, 20, was reportedly arrested at the scene and is expected to be charged with murder. 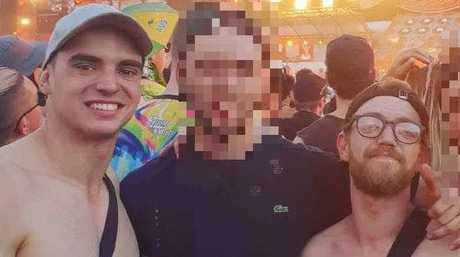 Police said the two men knew each other before the attack and Mr Anderson's Instagram page shows that the pair would often comment and "like" each others pictures. In September, Mr Anderson posted several pictures and videos with Mr Flame at Sydney's Defqon.1 Festival. "Defqon was lit, shout to the homie (Mr Flame) for being a real one," he wrote alongside a video taken at the electronic dance music event. "Love ya mate x." One of their mates responded, writing: "You guys are obsessed (with) each other." "Yeah pretty much," Mr Anderson responded. Mr Flame then joked the commenter was just "jealous" of their friendship. Mr Anderson's final Instagram post shows the pair posing with three other friends at Defqon.1. Witnesses told police they saw two people fighting while others claimed to have heard "shouting and moaning" coming from the direction of Pavilion Reserve park. Liam, one of Angry Anderson's four children, died at the scene from serious head injuries. Liam had been planning to move to Ireland to start "a new life" in the coming year. On his Instagram page he posted several pictures of the Irish countryside and wrote how he was "dreaming about adventures". Musician and anti-violence campaigner, Gary, was in Perth at the time of Liam's death and was returning to Sydney last night, 9 News reports. Earlier, Anderson's manager Scot Crawford released a statement, stating Liam's family has asked that their privacy be respected. "With the matter in the hands of NSW Police, the family will not be making any comment at this stage, nor are we as Anderson's management in a position to offer any comment on their behalf," Mr Crawford said. Speaking outside Manly Police Station yesterday morning, Detective Inspector Michael Boutouridis said ambulance officers commenced CPR on the victim as soon as they arrived at the park, but were unable to revive him. "The 26-year-old deceased man died at the scene and he is a local," Insp Boutouridis said. 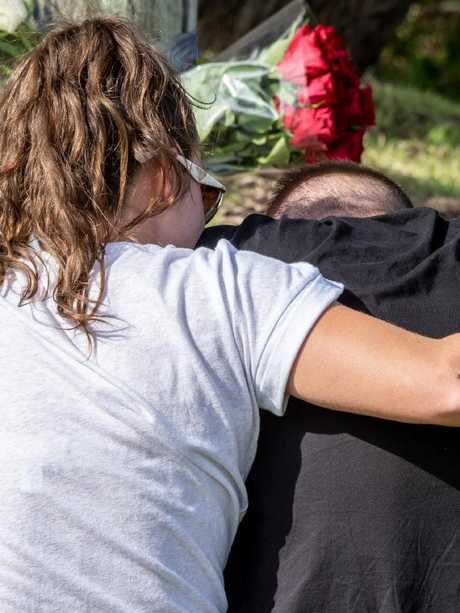 Insp Boutouridis said the 20-year-old alleged offender was extremely violent when police arrived described the scene at the park as "graphic and bloodied". "It was quite a bloody scene. The man we have in custody was violent and it took a number of police officers to subdue and arrest him," he said. "We expect to charge him later today." He did not rule out the possibility that the 20-year-old alleged offender had been on drugs during the incident. "It's still early in the investigation but it's quite possible, yes," he said. Liam Anderson was following in his rocker father's footsteps when his life was tragically cut short. Anderson was a local rapper who performed under the moniker Ranford Bigsby. He began rapping when he was a teenager, after his friend played him a song by rapper Tupac Shakur, and joined a Sydney amateur rap group, Chaotic Methodz, years later. The group would film their music around Sydney city and would upload their videos to YouTube. The Chaotic Methodz Facebook page has been deleted. 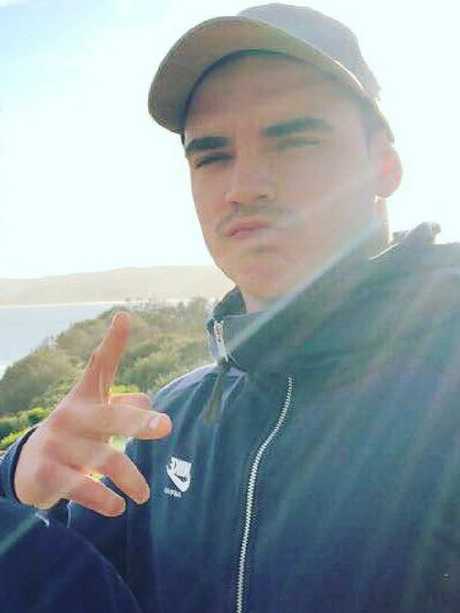 Anderson's music was also featured on Triple J Unearthed five years ago, where he described himself as an 'Emcee' (or MC) who took inspiration from Australian hip hop artists such as 360 and Drapht. His rap landed him some jobs performing at venues around Sydney including the Kings Cross Hotel, Brighton Up Bar, Civic Underground and the Bald Faced Stag. A recent post on Facebook showed just how close he was to his family. The rapper posted a message to his friends and family, letting them know his phone was broken in late September.
" … anyone needs to reach me just run the streets yelling my name till you hear me in the distance then sprint in that direction and ill be like whass up," Anderson wrote. His mother Lindy's heartbreaking response was a promise to buy her son a new phone for Christmas so they could keep in touch. Ranford Bigsby's songs often featured controversial content, with many references to his self-proclaimed drug use or supposed encounters with police. One song he performed stated: "These cops pull me over cause I'm suspect, but a criminal ain't the image I'm trying to project." Another song spoke about problems with violence and drugs in the hip hop community, stating, "These rappers think it's cool to talk about selling crystals and carrying pistols and shooting handguns, it's time to grow up and be a man". Witnesses near the crime scene who spoke to media outside their homes said they heard noises all morning but assumed it was just coming from a local "boot camp". "I just heard a lot of, say for at least half an hour, moaning," the woman told 7 News. "Then we found out it was obviously him being kicked or stabbed. We should have looked out but we didn't". "It just sound like a guy doing boot camp, running up the hill and exhaling". She said it was horrible to think that a murder occurred so close to her home. Police investigations in the park on Sunday. Another man, called "Andy" told a 7 News reporter that he had just left his house for a morning jog about 6.15am when he saw police arresting a man on the grass. "I went downstairs, saw the police car coming and arresting the guy, telling him to get down," Andy said. "When I came back half an hour later, the whole thing was a crime scene." He also said he thought the sound of the dying man was coming from a particularly vigorous boot camp training session. "That sort of noise comes from boot camps, and people working out. It's a common noise here on the beaches," he said. "I feel bad that I heard something and now it turns out it's something really bad." "In fact I am certain the two fellows knew each other, both young men," he said. "I don't know the circumstances that led to them being at the reserve this morning at Queenscliff, that's why I am appealing to the community to assist us." Insp Boutouridis urged members of the public to come forward with any information of what happened at Pavilion Reserve before police were called just before 6am yesterday. "I want to deliver a strong message that this was not a random attack, we have one offender in custody and there are none outstanding," he said.